Esselgroup - ETC Punjabi turns 10! The king of wholesome Punjabi family entertainment-ETC channel Punjabi completes one full decade of entertaining Punjabis across the globe today. For many years the channel has enjoyed the numero uno position. In retrospect, the channel has had many firsts to its credit by pioneering LIVE telecast of the Gurbani from Golden temple- the most holy Sikh shrine, followed by breaking new grounds with Grand LIVE Events including Music Awards and Reality Shows in India and abroad. Till date the channel is perceived to be the most authentic source of Punjabi entertainment. In the last 10 years the channel has stirred Punjabi sentiments with fabulous entertainment and true spirits. 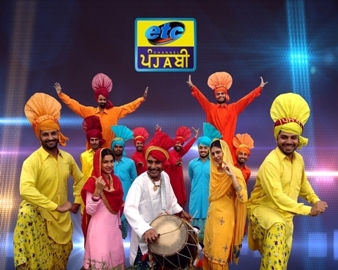 ETC Punjabi enjoys great fan-following in India along with dedicated viewership in the UK and the USA. The channel has outgrown its initial image from being a religious and music channel, to newer formats such as Comedy Shows, Kids Show, Women-centric show and Food Travel Show- the channel is in its ever expanding phase today. On this occasion, Ravi Arora, Business and Programming Head ETC Punjabi adds, The channel has a long way to go. In the second innings we are all set to experiment with new genres and formats. Despite newer competitors in the market we still retain a fair share of loyal viewers in our kitty. In addition to decent performance in Punjab market, the channel has encouraging viewership in HSM as well. Our performance in the digital HSM has consistently been showing upwardly movement. The channel has a bright future and we shall strive hard to keep up the good work. Joyous and happy-the entire ETC Punjabi team just can not stop singing- Happy Birthday... Happy Birthday ETC Punjabi. Happy Birthday! We congratulate the team and wish the greater success in future!